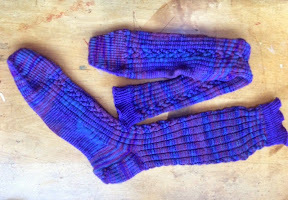 I made these very large socks and will send them off to Bend Oregon Community Services who distribute to the homeless. Hopefully the reinforced toes and heels will make them last a bit longer. Yarn is from my favourite online yarn supplier. Check out my Ravelry page.